Already available for pre-order on the Mattel website, the three new versions of the doll join the original in the continuing Barbie Fashionistas line. 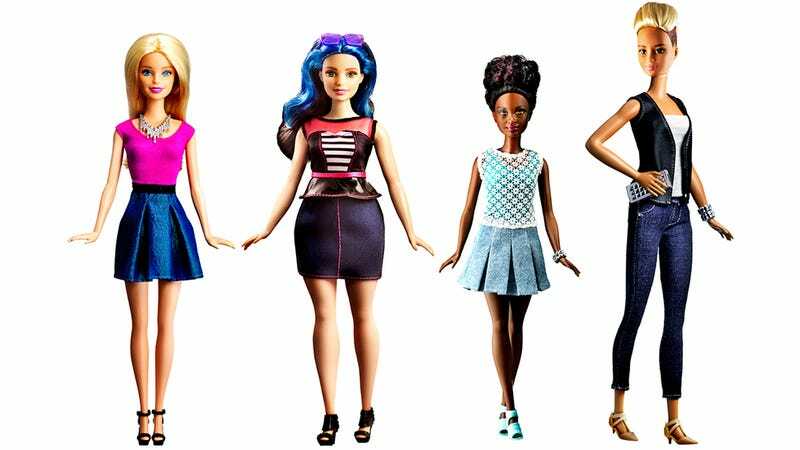 So while little kids no longer have to feel bad about not looking exactly like the slender, impossibly proportioned version of the doll that’s been available for half a century, they still better make sure they’re keeping up with the latest fashion trends if they want to feel accepted. Great.